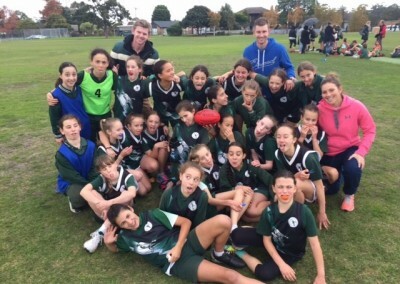 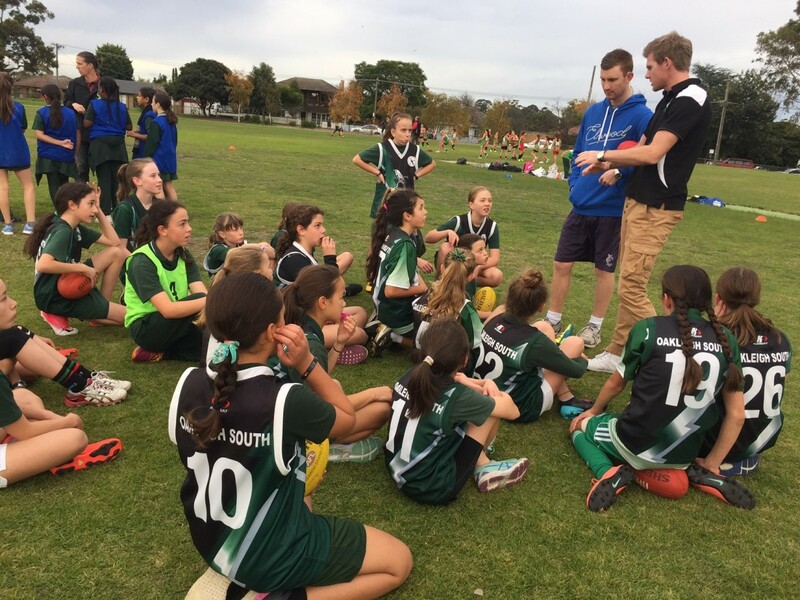 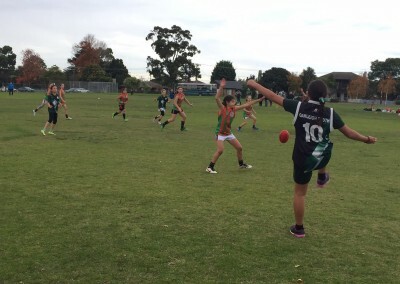 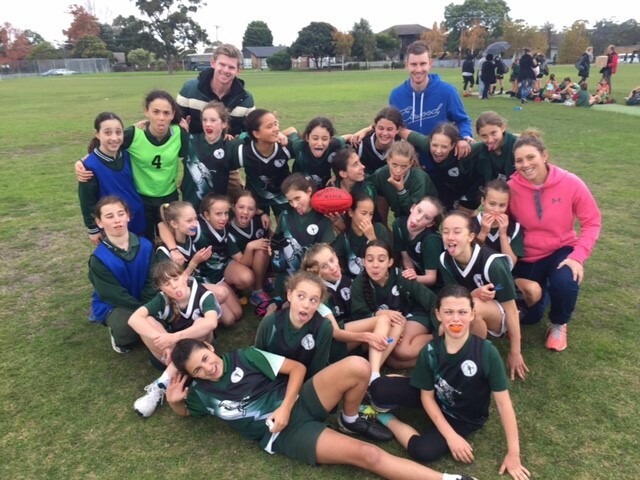 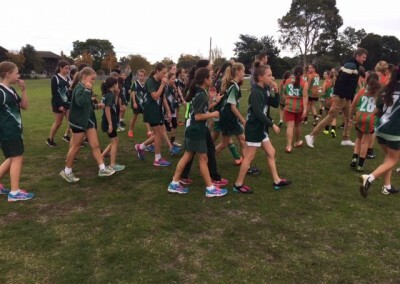 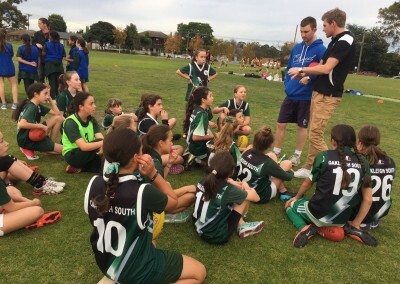 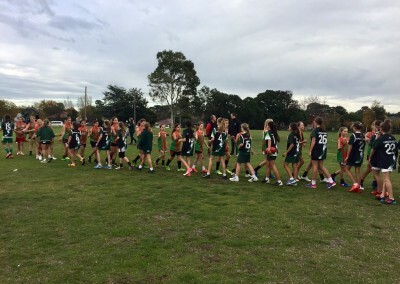 Last Tuesday saw Oakleigh South Primary School’s inaugural Girl’s Football game against St Peter’s Primary School. 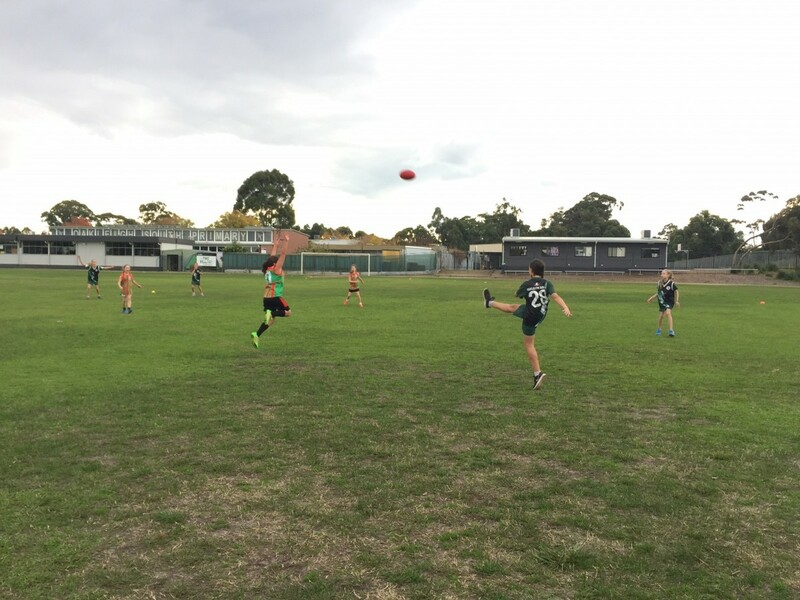 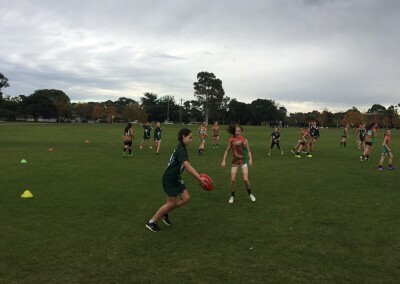 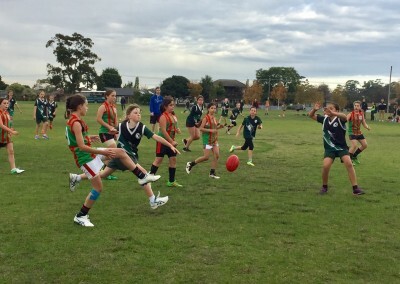 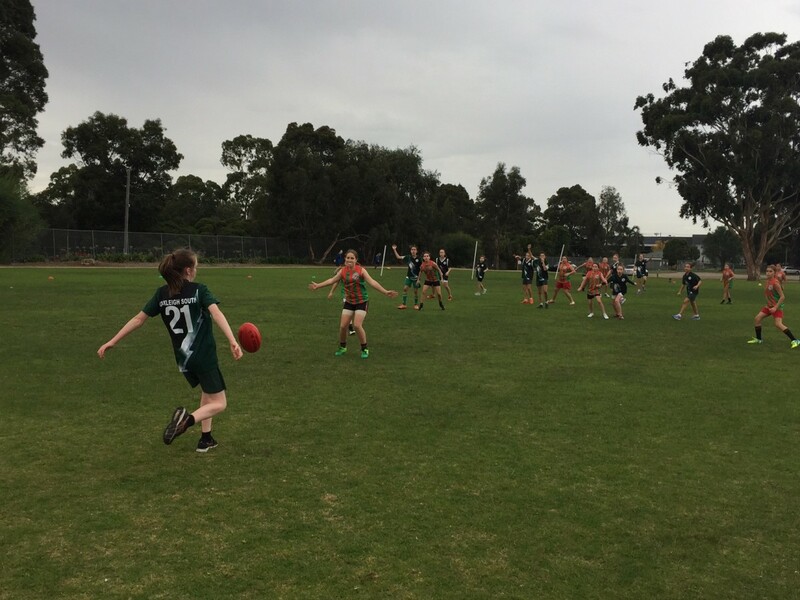 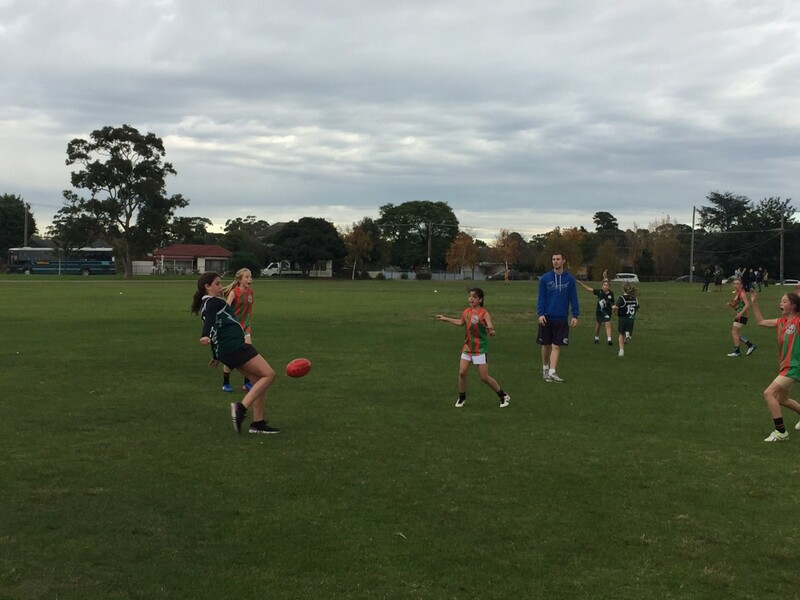 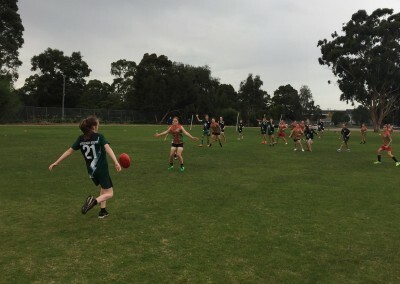 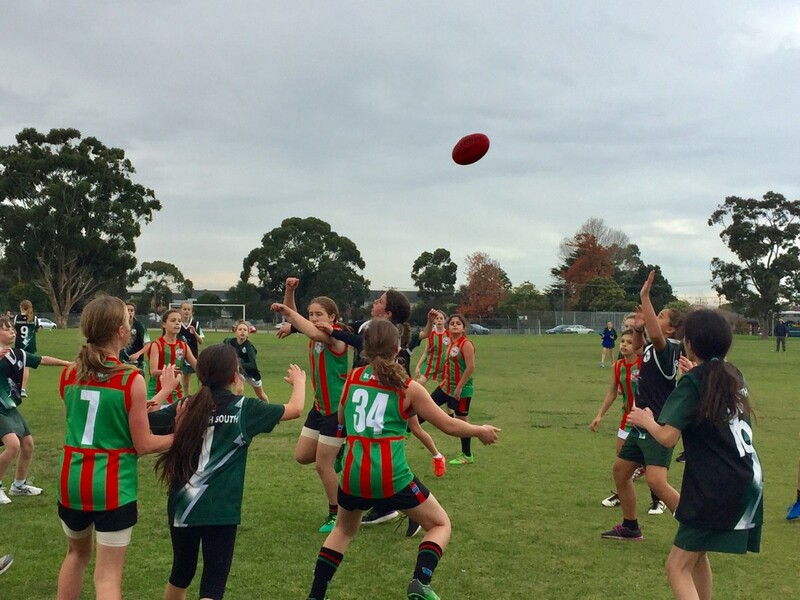 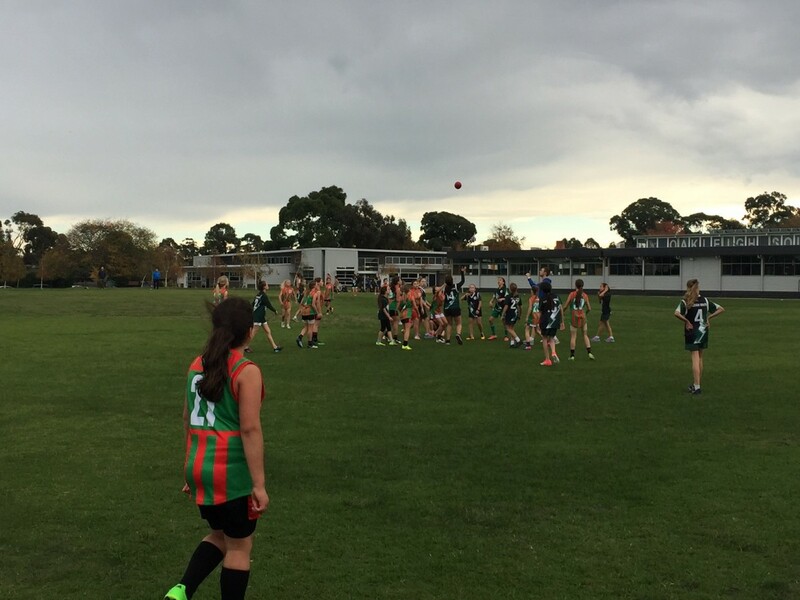 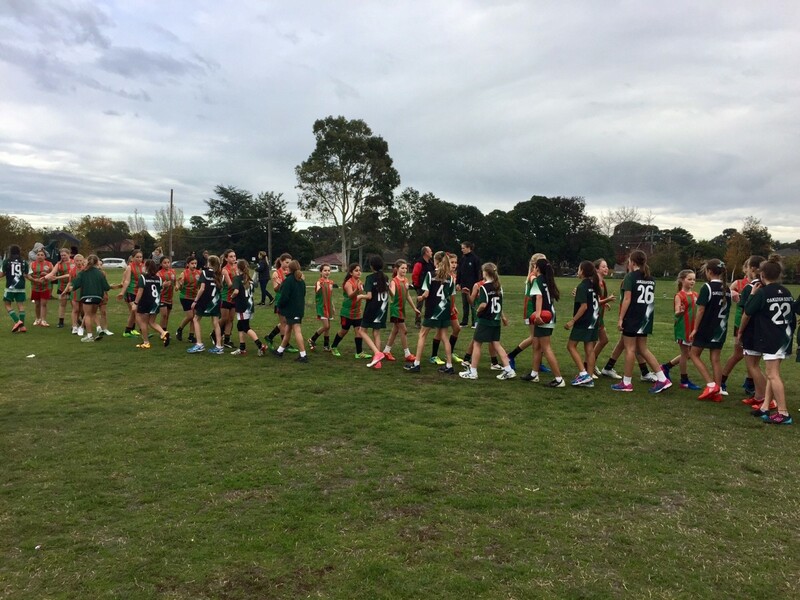 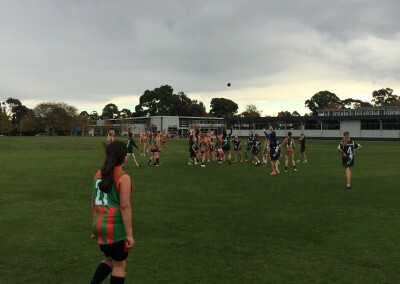 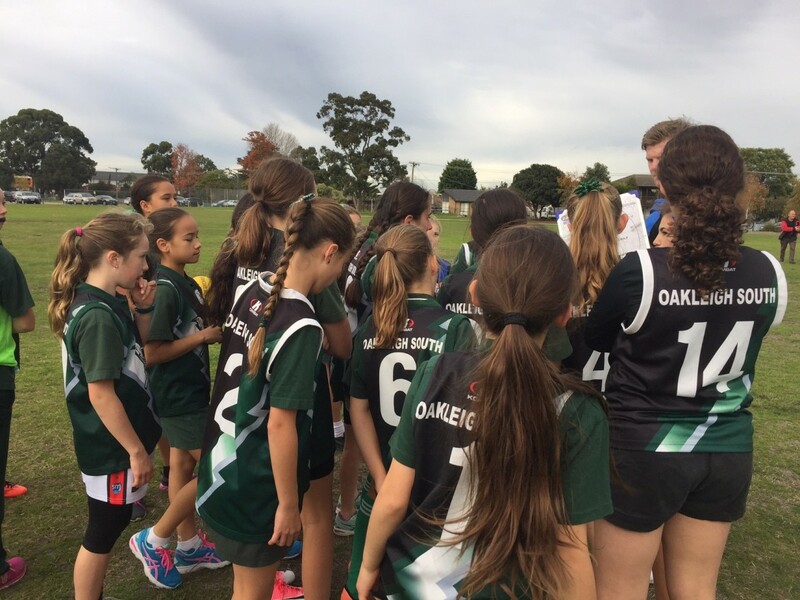 Representatives from our 30+ squad of Year 5 and 6 girls, kicked, handballed and tackled their way through, what was for many, their first organised Australian Rules Football game. 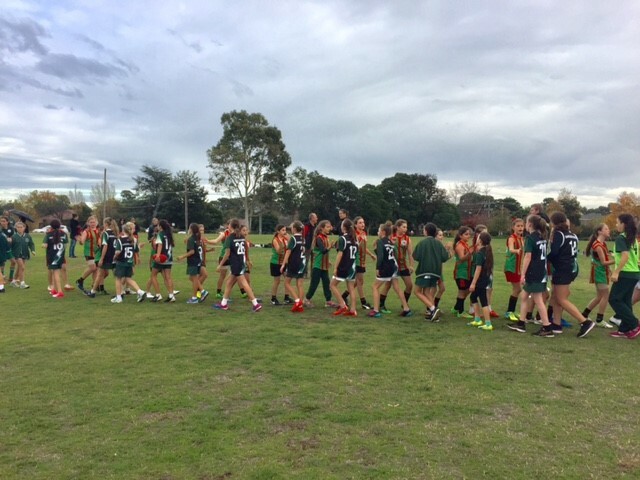 Whilst we unfortunately lost against an experienced and skilled St Peter’s team, our girls showed great drive and determination throughout. 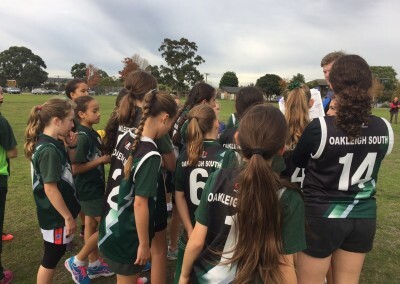 A huge congratulations to all of the girls who trained and played in the lead up, and a big thanks to all of the teachers who gave up their lunchtimes to coach and organise the team. 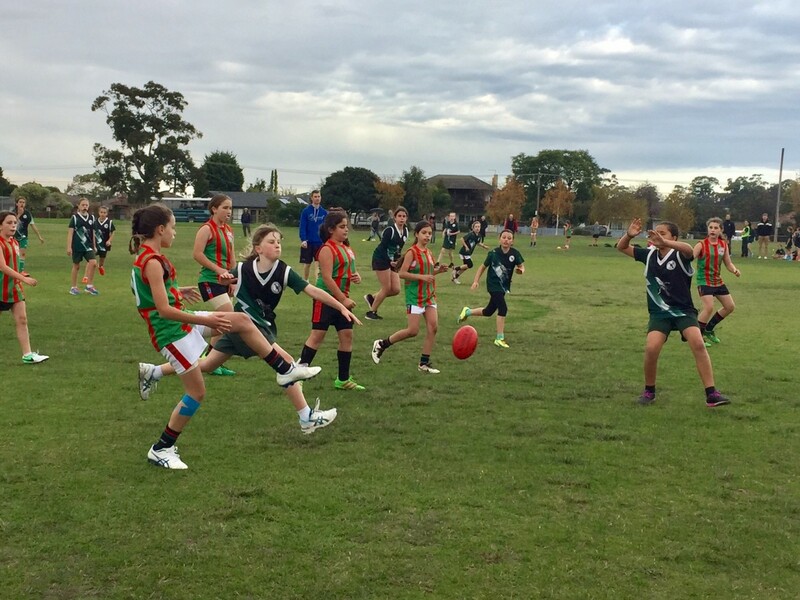 The great news however is that it is not over because next term, we will be running a Girls Footy League for Year 4, 5 and 6 girls. 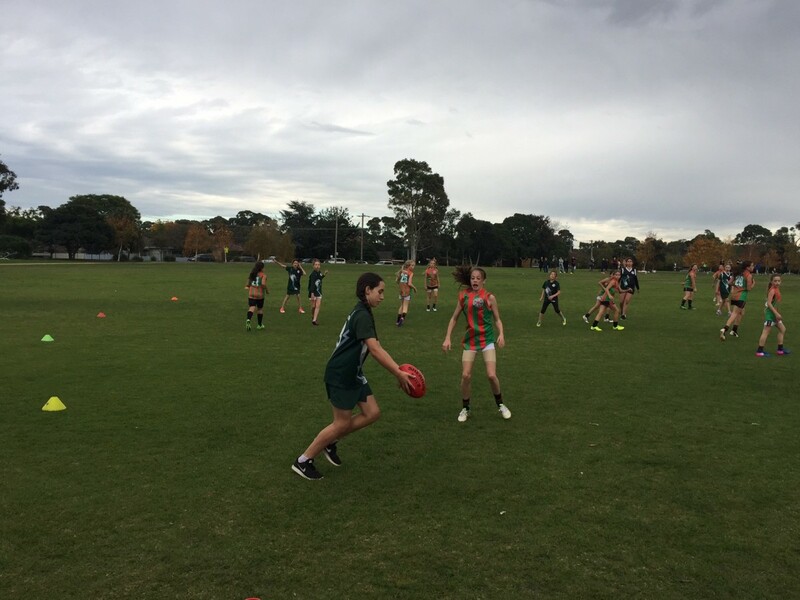 There will be trainings in the lead up, so keep your eyes and ears open for more information.